I love Honduras and the city of Trujillo where I live. But there’s something here I hate. I find it on most roads I drive down and when walking on the beach, distracting from the beauty of Honduras. Friends and visitors also comment on it. That something is garbage – the Central American plague – thrown everywhere. 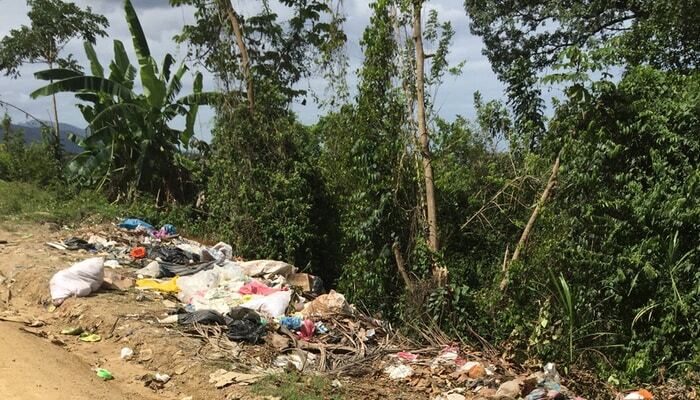 Garbage in Honduras, like in many poor countries, is a major issue. Not only is it unsightly, but it’s also a health and environmental hazard. Much of the trash is plastic, which does not decompose. There are also foil wrappers, glass, metals, and a host of other crap. There are few organized garbage collection services and/or landfill sites. When driving around Honduras, you’ll see garbage accumulating in ad hoc waste dumps along the side of the road. One person dumps their waste in a spot and others follow. But it’s not only at these “dump sites”. When following a bus, you’ll see plastic bags and other trash tossed out the window. And at bus stops, even those with a trash can, more often than not it’s thrown on the surrounding ground. Before plastic and its pervasive use in our world, disposing of waste was less of a problem. Most of it was organic and would decompose in time. The culture was to not worry about where you left it. For poor people, finding money for food and shelter is more important than finding a good place to dispose of trash. This is the crux of the issue of garbage in Honduras. Recycling is rare in Honduras unless there’s cash value involved, and not much even then. There may be the occasional compost, but most times people bundle everything together and dump it on the side of the road. In beach towns like Trujillo, it’s common for people to bury their waste in the sand. And when storms occur, it all comes up and finds its way into the ocean and along the beach. Education. Teach children about pollution and waste and how to control it. By starting with children, the culture towards garbage may someday change. Some may remember the “Don’t Be A Litterbug” campaign from the 50s and 60s. Cleanup crews. Volunteer and/or paid crews. Trujillo had a crew going out before “ship day” (when a cruise ship arrives in port) and Santa Fe has school brigades. Fines. If someone is littering, fine them. But effective prosecution can be a problem. Waste sites and receptacles. Landfill sites that are accessible and monitored. Trash containers placed in useful spots with regular emptying. Recycling. Recyclables should go to a recycling center. Encourage the repair of broken appliances rather than throwing them out. Not using plastic bags when shopping. Use reusable cloth bags. Biodegradable plastics and compostable containers. As these become more affordable, they will find their way into Central America. 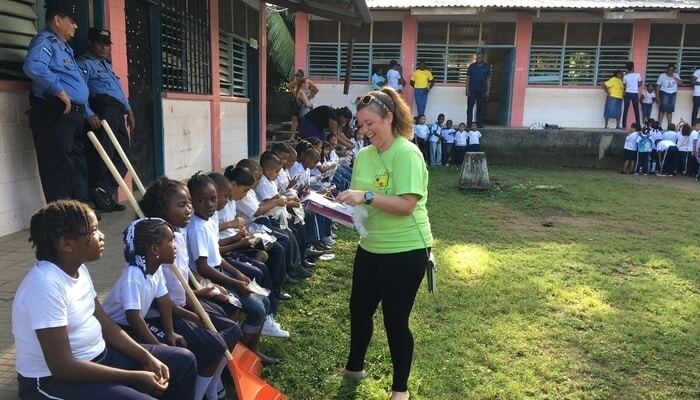 Expats Brad and Isobel Campkin have started a project in the Trujillo area called Clean Beaches Honduras. Clean Beaches Honduras also has a GoFundMe campaign under the same name set up to support clean up activities around Trujillo. “We are winter visitors and fell in love with the Bay of Trujillo in 2014. My wife and I were walking along the beach one day when I commented on all the plastic and household waste. As we walked, we talked of how garbage is ruining the ocean, the local ecosystem, and how it’s a health hazard. We went back to our condo and I created the campaign” Brad Campkin, Clean Beaches Honduras. Clean Beaches Honduras now organizes cleanups every other Friday, with local schoolchildren participating, in the town of Santa Fe, close to Trujillo. 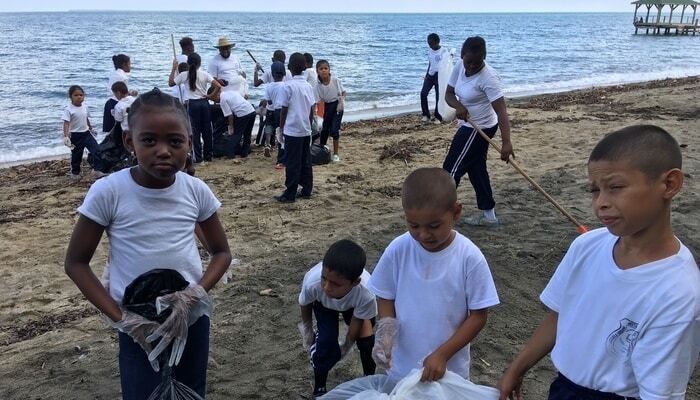 On the Fridays the kids are not cleaning up beaches, streets, and rivers around Santa Fe, they attend classes to learn about the effects of pollution and the benefits of recycling. “Donations pay for clear and regular garbage bags to separate recyclable from refuse and gloves for the kids. Also a snack afterward and school supplies as a reward,” says Campkin. The only roadblock Campkin sees is the scope of the problem. He and local officials estimate they need to reach 30,000 kids to really tackle the issue. In 2017 around 110 children were involved. But this doesn’t deter him at all. Clean Beaches Honduras plans to continue with the Santa Fe project in 2018 and also expand into Trujillo itself. 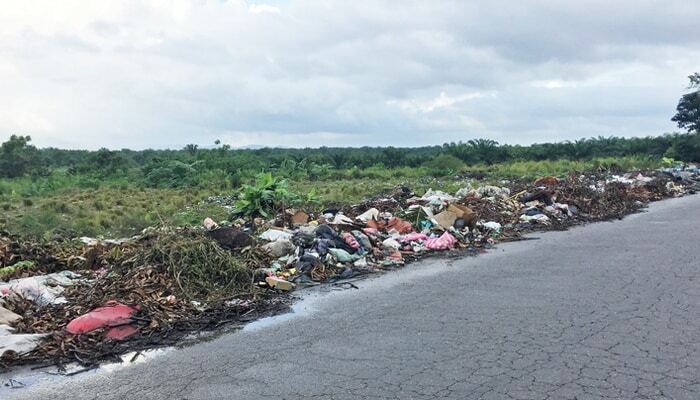 The mayor of Trujillo has asked them to join a committee exploring ways of involving the community to solve the problem of roadside dumping. 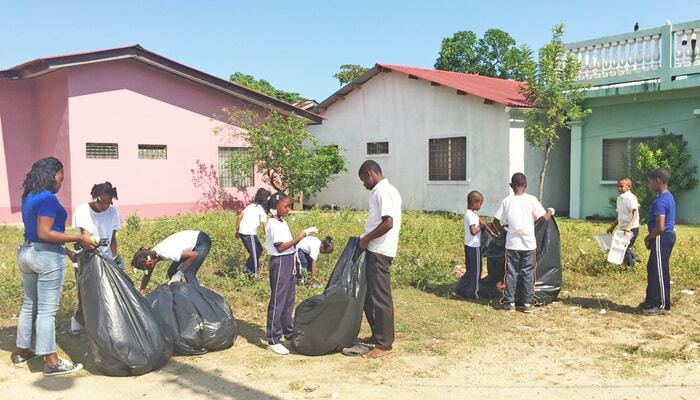 “Our goal is to have this campaign take on a life of its own and have local schools adopt a regular curriculum on the benefit of waste management and teach what the future holds if nothing is done. Much like we Canadians were taught in the 70s. We want communities to start their own cleanup programs and police themselves,” says Campkin. Paul McCurdy is a part-time resident of Trujillo, Honduras since 1996. He and his wife Charlene delight in sharing their experiences of Honduras on their Hola Honduras blog and on their Facebook page.